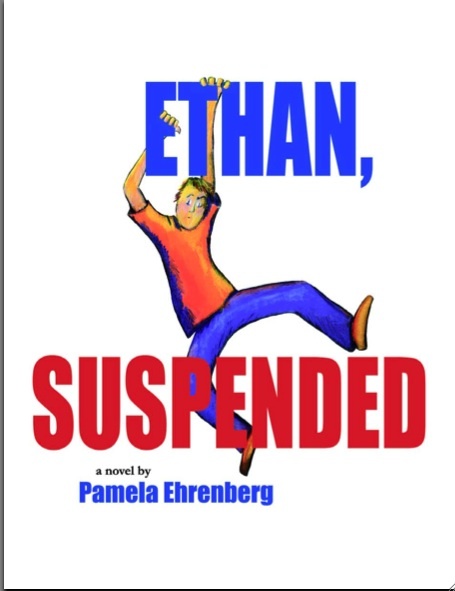 The first book I read by Pamela Ehrenberg was Ethan, Suspended, a novel about Ethan Oppenheimer, who is shipped off to his grandparents in Washington, D.C. while his parents are busy not getting along at home. 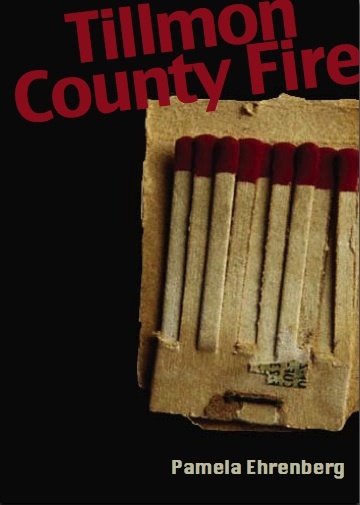 Her Tillmon County Fire, told in multiple points of view, features stories linked by one incident. These are books that could be read with children, sure, but not the sorts of books that are read to kids while they’re sitting on your lap. So when I heard Pam was publishing a board book about parsley for PJ Library, I knew she had earned a spot on the genre-jumping team (not yet an Olympic Sport). She was kind enough to answer my questions, starting with one for which I already knew the answer. Me: Which came first: Chicken or egg, picture book or novel? Pamela: Novel, definitely. Picture books used to scare me, the idea of not having any “wiggle room” since every single word has to count for so much. But in 2013 I decided to conquer my fear, and I signed up for the 12 x 12 online picture book challenge. It was so energizing to delve into something where I considered myself a beginner, where I could feel free just to play without pressure to be good at it. Which wasn’t my intention at all! But that boy’s intense reaction, and my dismay at his misunderstanding–was the first time I realized that my job as a writer only half involves putting words on a page: what really matters is what those words do after they’re in the reader’s mind. I think the experience of having my books reviewed is a lot like reading that story to my kindergarten class—holding my breath to see if I told the story I meant to tell! Me: When did you publish something in a different form? 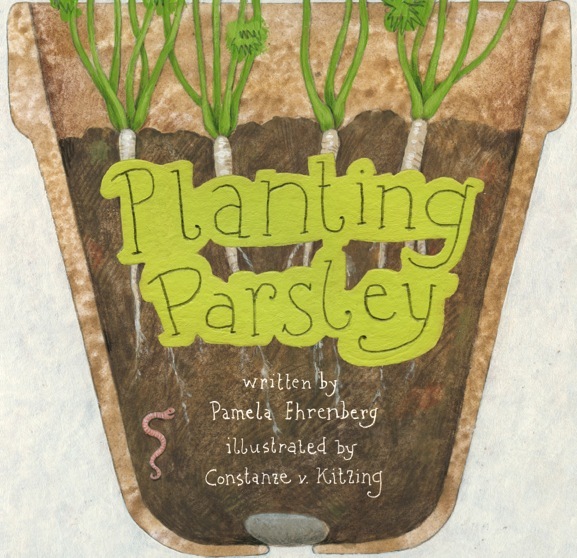 Pamela: I’m delighted that my first board book, Planting Parsley, is coming out this fall from PJ Publishing! Constanze von Kitzing did a great job with the illustrations—I love that there’s this whole other dimension to the process when working with an illustrator. And I loved when the publisher mentioned that the book passed its safety test—it’s new for me writing for an audience who might still be inspired to chew (literally!) on their literature! Me: Are you a one-project-at-a-time writer or do you mix it up? How easy is it for you to go back and forth between forms? Pamela: I’m definitely a mixed up—I mean mix-it-up—writer. Life as a single mom means writing during odd blocks of time, so I need to have a project at the ready when there’s an unexpected half-hour during baseball practice or an unexpected afternoon during a visit with grandparents. As for going back and forth between forms—I feel like it’s more about going back and forth between characters and their worlds, that the form doesn’t matter as much. It’s like having lunch with one friend in one setting, and dinner with a different friend somewhere else. Me: Are there places or themes you tend to explore, both in your writing for younger readers and writing for older ones? My Twitter handle (@PamelaEhrenberg) says that my books are for “young people and others ready to take on the world”—so I think my characters who are two and those who are sixteen, and those in between, are grappling with some of the same issues I am: navigating a diverse world, interacting with the environment, and rising to meet challenges in regard to our personal relationships and our faith. There’s one topic I’m currently exploring in two separate works in progress, a YA novel and a Seussian picture book, and that has to do with a racially insensitive name of a sports team. I’d love to see either of those manuscripts get published in time to help the DC football team owner come to his senses on this one! Me:What age group do you prefer? As a writer, I think a lot about the Jamie Lee Curtis picture book When I Was Little. The main character is turning 4, but she explains how her 3-year-old self, 2-year-old-self, etc., etc., continue to exist inside her. I’m very much still the 11-year-old not sure where to sit in the cafeteria, the 4-year-old picking brown spots off my Fritos at snacktime, and the 16-year-old in the safe-but-daring synagogue youth group dance. It’s nice visiting with all of these selves when I write . . . and also nice knowing I don’t need to be any of them all the time! Me: What has writing in one form taught you about writing in another? Pamela: Writing novels taught me how to really get inside a character’s head: how even if the main character of a board book is a toddler planting a parsley seed, I have to step into their (Velcro) shoes and see the world from their eyes, including the excitement of dirt and the inevitability of messes when you’re two. Writing novels also taught me about “getting it right”—painting the details of a character’s world with enough accuracy that readers can suspend their disbelief enough to step into the world of fiction. Planting Parsley required two conversations with an observant Jewish botanist to make sure that this 200-word board book got it right in terms of the plant’s growing cycle in relation to the Jewish calendar. Me: Is there a genre you’d like to tackle that you haven’t tackled yet? Pamela: So I’ve done a middle-grade and a YA novel, now a board book—and my first big-kid picture book is tentatively scheduled for fall 2017. Sometimes I think it might be fun to write for grownups someday, but I’m having so much fun with projects for young readers that I’m not in a hurry. In the meantime, I’d like to find a publisher for my chapter book series someday: I remember when my daughter started reading independently, thinking that there was a lot of room for growth in making things available for newly independent readers who feel like they’re too old for picture books (even though they really aren’t). Thanks, Pam! You can find out more about Pam at her web site, or be following @PamelaEhrenberg on Twitter. Planting Parsley will be released to PJ Library kids just in time for Tu B’shevat. Pam also has a new book called QUEEN OF THE HANUKKAH DOSAS coming out in 2017 with FS&G. “Somehow, the book combines an incident from my childhood in the 1970s with a #WeNeedDiverseBooks lens toward contemporary, multicultural Judaism,” Pam says. This entry was posted in author interview, diverse books, genre jumpers, picture books and tagged genre jumping, kidlit, Pamela Ehrenberg. Bookmark the permalink. Thanks, Pam. Excited to see what you do next! Such an honor to be here, Madelyn–thank you so much for including me and for giving voice to this wonderful experience of genre-jumping! Looking forward to checking out your two newest genre-jumping titles I’ve been reading so much about as well!